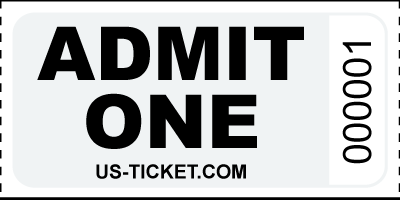 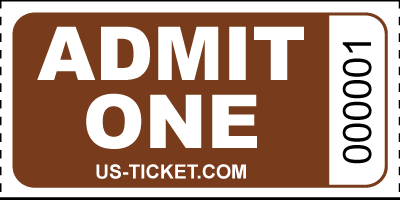 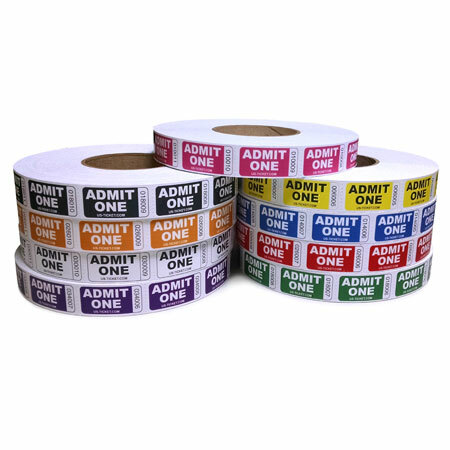 We print our Admit One Roll Tickets in bright colors on white paper stock in rolls of 1000 tickets. Each 1" by 2" ticket has the words "ADMIT ONE" boldly displayed on the front with sequential numbering within each roll. The backside of the ticket has a watermark security feature.